I'm on a plane headed to Bethesda for SPX right now, but that won't stop me from plugging my new book! And when I say "my", I really mean Keith Silva, David Fairbanks, Taylor Lilley, Justin Giampaoli, and mine. 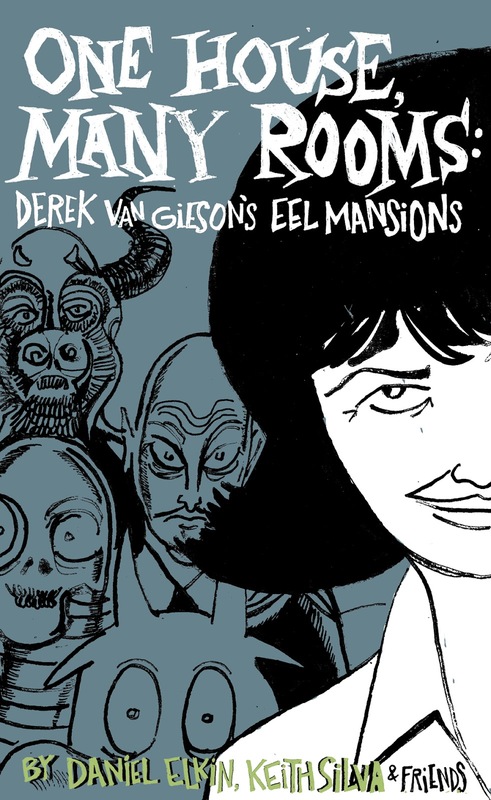 ONE HOUSE, MANY ROOMS is a critical discussion of Eel Mansions, containing new essays, an "interview" with Van Gieson, and other assorted gimcracks and gewgaws. PLUS, it features an original cover by Derek Van Gieson! WHY NOT BUY IT TODAY?